The Federal Government has sued Turkish Airlines before a Federal High Court in Abuja over an alleged criminal violation of the rights of some Nigerian passengers. The government also indicted the company for violating the enabling law of the Consumer Protection Council (CPC). The Attorney General of the Federation and Minister of Justice, Mr Abubakar Malami, filed a three-count charge against the airline as well as its Board Chairman, Liker Ayci and its Commercial Manager, Rasak Shobowale. In the charge, the Federal Government alleged that the three accused persons between December 20, 2015 and March 2016, “without sufficient cause, refused to provide the Consumer Protection Council documents on Turkish Airlines’ policy on delayed baggage,” thereby committing an offence punishable under Section 18 of the CPC Act. The Federal Government also accused the airline and its two principal officers of violating the same section of the CPC Act by neglecting, without sufficient cause, to attend and testify before the consumer protection agency on the detailed steps taken by the airline to provide redress and compensation to passengers aboard its Flight 623 from Istanbul to Abuja on the said dates, who were affected by its untimely delivery of baggage. 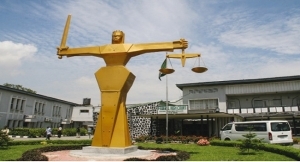 The prosecution came on the heels of persistent refusal of Turkish Airlines to respond to lawful requests of CPC for a full situation report on the airline’s alleged shoddy treatment of passengers of Flight 623 from Istanbul to Abuja on December 25 and 31, 2015 as well as January 9, 2016, which prompted the council to approach the Justice Minister for the prosecution of the airline.